We’re thrilled to announce that we have recently taken delivery of a larger van which will allow us to collect more from customer sites and increase the efficiency of our operations. As you can see in the photo at the bottom of this page it’s not much larger than one of the previous vans but the key is that it can carry a lot more weight – about 4 times more than the other van. Well the obvious thing is that we can collect more of your IT equipment in one go and so avoid multiple collections or having to make two collections in a day. One of the less obvious things is that we can consolidate collections and waste disposal drop offs so environmentally it’s a greener vehicle for us to run. 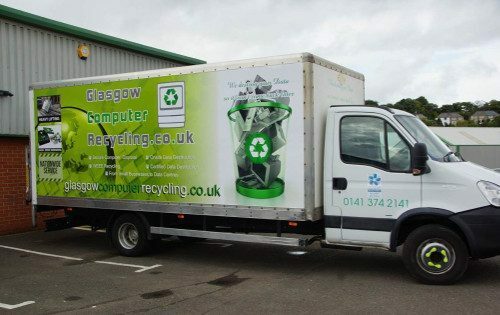 Moving up to this category of vehicle also brings a lot more regulation, licencing and ultimately expense, but we believe it is worth it to be able to provide a convenient, safe and secure computer recycling service. We are also able to bring more packaging and equipment to your site to make collections safer for your site, our operators, and the equipment being collected. The new van has just had its graphics applied so you will know it’s us when we arrive at your site, and like all our vehicles it is satellite tracked so we can monitor its progress from the office. 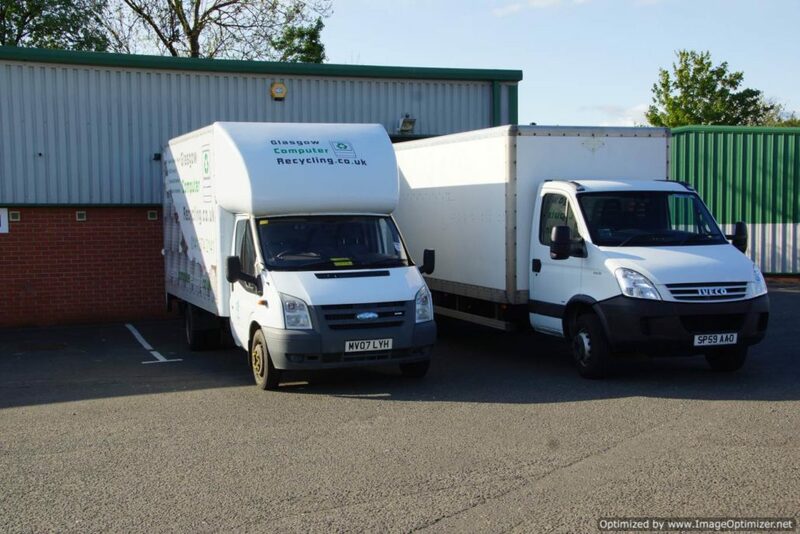 We also have the smaller van (graphics on the way too) for quick collections of smaller amounts of equipment or boxes of hard drives for secure destruction so we should be able to meet all of your requirements no matter how big or small the job! 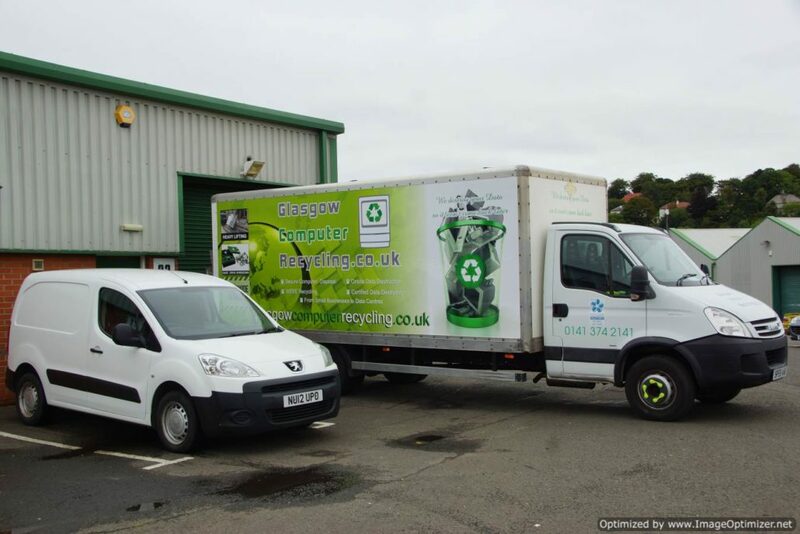 Feel free to get in touch to see how our larger vehicle can help with any larger scale disposal requirements you have.